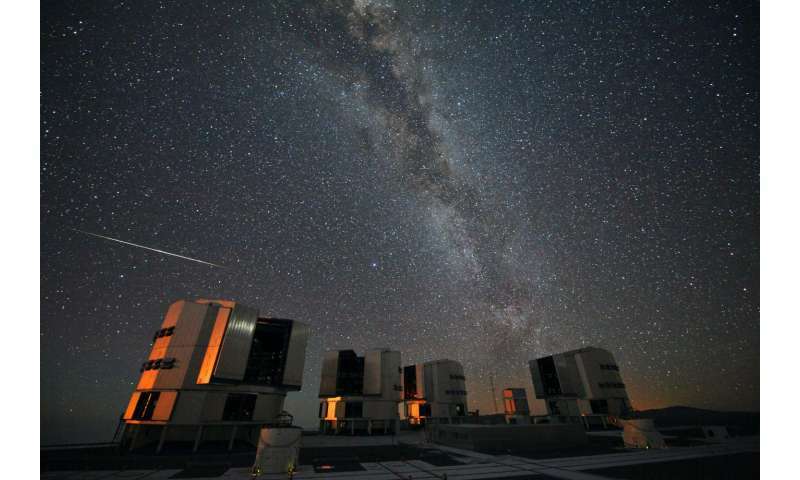 Friday 12 August sees the annual maximum of the Perseid meteor shower. This year, as well as the normal peak on the night of 12/13 August, meteor scientists are predicting additional enhanced activity in the shower the night before, as the Earth passes through a dense clump of cometary debris. Meteors (popularly known as 'shooting stars') are the result of small particles, some as small as a grain of sand, entering the Earth's atmosphere at high speed. The parent comet, Swift-Tuttle, which last passed near the Earth in 1992, leaves this debris in the Earth's path. 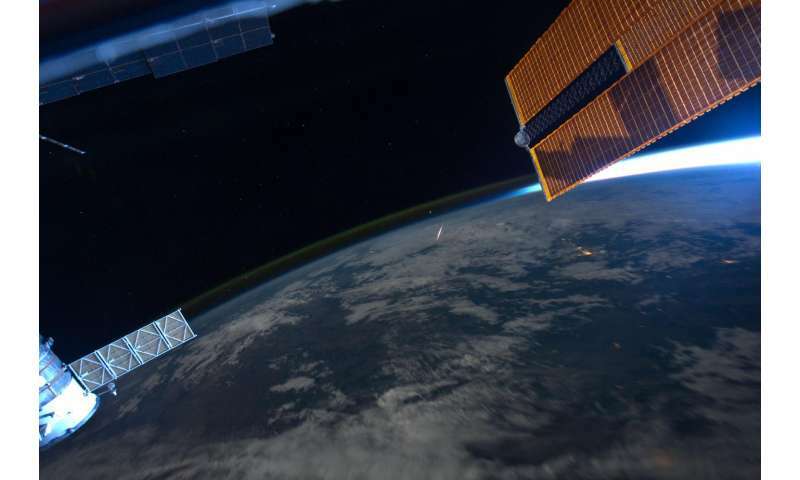 On entering the atmosphere, these particles heat the air around them, causing the characteristic streak of light seen from the ground. The meteors appear to originate from a single point, called a 'radiant', in the constellation of Perseus, hence the name of the shower. Russian astronomer Mikhail Maslov and Finnish astronomer Esko Lyytinen predict that this year the Earth will pass through a stream of cometary material shifted towards us by Jupiter's gravitational field. According to their model, and work by French scientist Jeremie Vaubaillon, we could see a steep rise in activity from late evening on 11 August to 0500 BST on 12 August. The Perseids are typically active from around 17 July to 24 August, although for most of that period only a few meteors an hour will be visible. During the peak, and if the predictions by Maslov, Lyytinen and Vaubaillon are right, as many as 100 meteors or more may be seen each hour. This year, the light from the waxing gibbous Moon will interfere to some extent for the first part of the night, so observers are advised to look out in the early morning hours after midnight when the Moon is very low in the sky or has set. 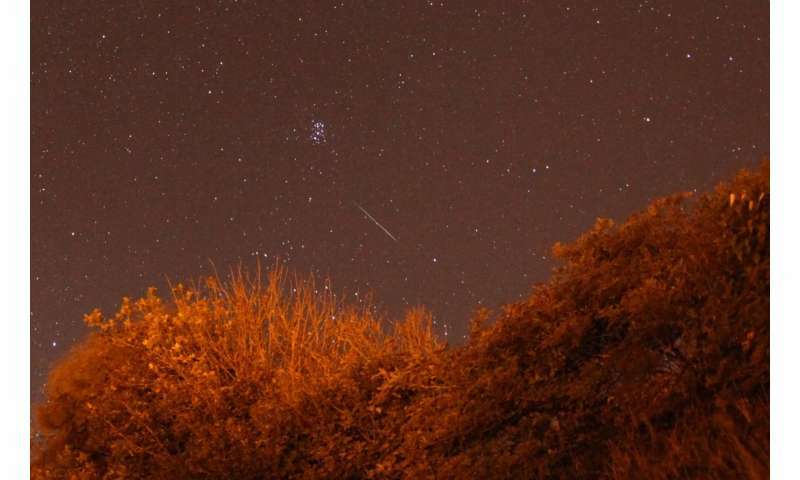 Professor Mark Bailey, Director Emeritus of Armagh Observatory, said "The Perseid meteor shower is one of the best and most reliable meteor showers of the year, and the predictions of a surge in activity this year make it particularly exciting this time. If you're lucky enough to have a clear sky early in the morning on 12 August, I'd definitely get up to take a look." Dr David Asher, also at Armagh Observatory, continued, "If you're clouded out on the morning of the 12 August, you still have a chance to see the normal maximum the next night." This article is written for viewers in the British Isles. The "clump" or "surge" will occur before or at sunset for viewers on the west coast of the Americas and even on the East coast viewing will be marred during the moon-saturated evening hours.